And to precede every meal, Dr. Bircher's Müesli. Müesli means 'little mush' in German, and this combination of grated, mushed apple, oats, condensed milk, lemon juice, and nuts embodied Dr Bircher's nutritional ideas about the importance of raw food in the treatment of disease. As a young man, Dr Bircher suffered from jaundice and thought that his consumption of raw apples had helped to cure him of his condition. He experimented with raw food diets in his clinic and on himself and eschewed the idea of animal proteins, preferring vegetarianism. The daily routine in the Sanatorium was a strict form of Ordnungstherapie, or a structured way of life meant to create balance and harmony in the patients, a key, he saw, to better health. Bircher had many famous guests at his clinic, including Herman Hesse, Rainer Maria Rilke, and Thomas Mann, who famously called the clinic a "hygenisches Zuchthaus", or kind of health jail. Raw foodism, like other food trends, seems to fade in and out of popularity, but Dr Bircher's Müesli, is something that has crept into the common culinary pantheon. 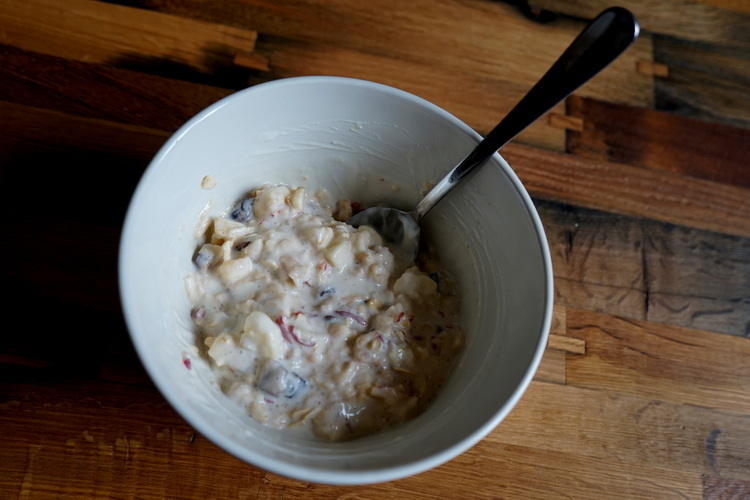 Although the müesli you find today is a departure from Dr Bircher's refreshing apple mush, it is still embodies his ideas of health and nutrition.